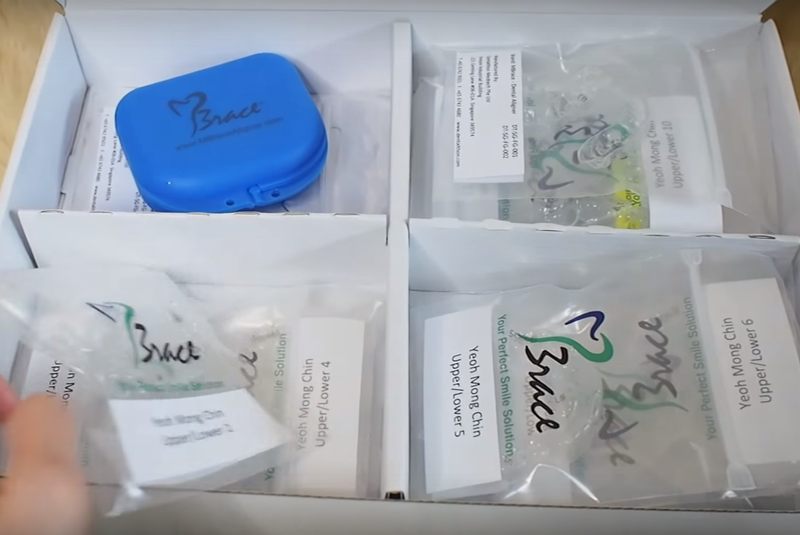 Here's a new update on my MBrace Clear Aligners journey. The last time I wrote about my consultation at Glittz Smile Dental Surgery by FDC, and it has been a good 1 month since then and so much has changed. I visited the clinic 2 times thereafter the first post (which you can read here) and had my Virtual Simulation shown to me on the second visit, extracted my teeth on the 3rd visit and also received a whole box of aligners on the same day. WOOHOO! But first thing first, Glittz Smile Dental Surgery has the best pantry I've ever seen in a dental clinic. They serve up a ton of drinks, coffee, tea, latte, mocha, biscuits, and wait what...? Did I see a fridge for MACARONS as well???? The interior is also so brightly lit and modern, with all rooms named after the major cities in the world. London, Paris etc just to name a few. They even have a recreation corner where they have a Foosball Table for you to enjoy! We played it while waiting, and Matt went to play again once I went into the room for my consultation. Haha, how thoughtful! On my second visit to the clinic, I was shown the Virtual Simulation of my teeth through a computer screen that was comfortably placed before my seat. 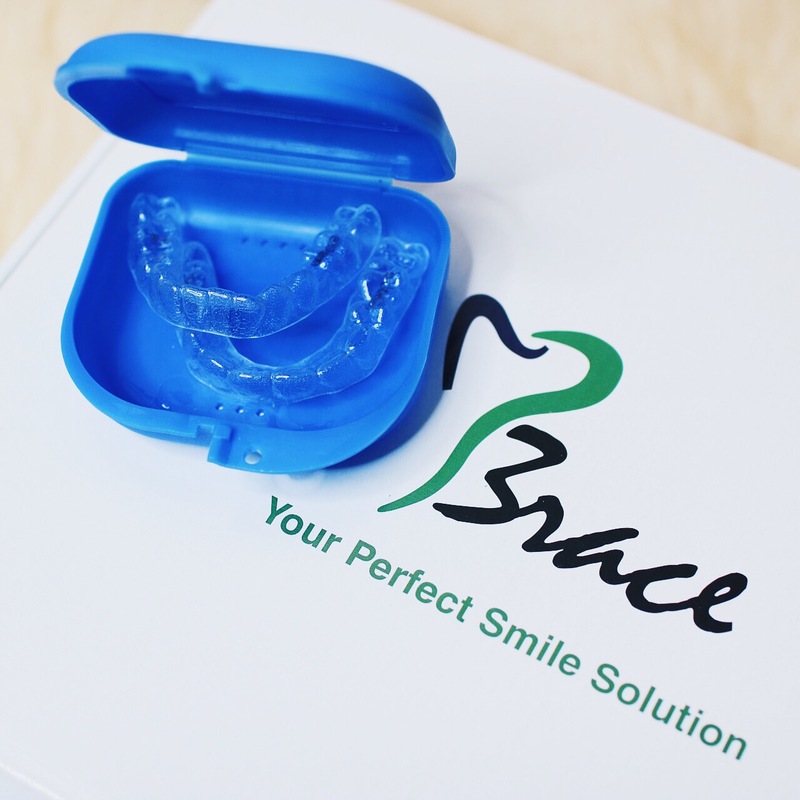 That is one benefit of the MBrace Clear Aligners procedure - you get to preview how your teeth is going to move over time and see how it will slowly mould its position according to the aligners that have been planned out for you. Having an almost 360 Degrees view of how your jaw, teeth and mouth is going to look like can help pinpoint the areas you might be uncomfortable with, or have questions about. A pity I lost the footage of the full simulation else I'll include it in the VLOG below. But you get the gist! This is how my upper arch looked like before treatment, and as you can see.. I have a second molar jutting out on the left side of the screen. This tooth had been extracted on my 3rd visit and I'm SOOO HAPPY ITS FINALLY OUT OF THE WAY! About 2 weeks later, I received my box of aligners! In the box contained the first 12 sets of clear aligners, which I needed to switch up after every 2 weeks. That is a good whole 6 months in my hands that makes it so so much easier! Another reason why I love the MBrace Clear Aligners Treatment is due to the limited trips I have to take down to the clinic. Only the necessary, and not excessive. 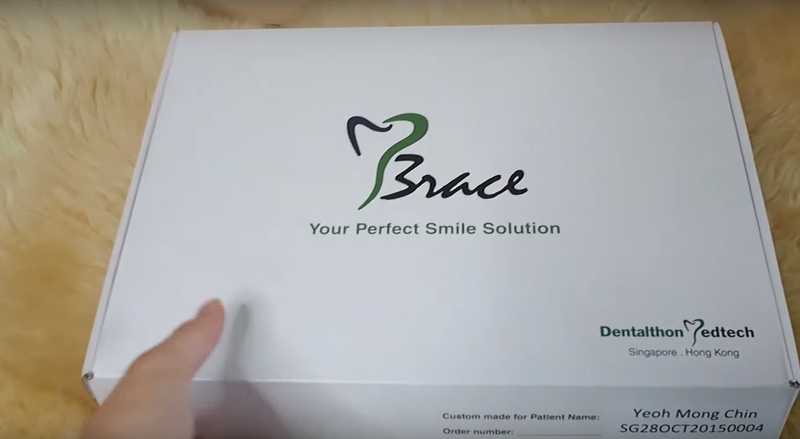 Unlike traditional braces where you have to head down to the clinic every month to get it tightened, with MBrace you just have to be diligent and change up every 2 weeks! This would be so convenient for busy people like myself who have limited time to spare, and for the frequent travellers who would prefer to have your aligners with you beforehand so even though you might be overseas, you can still stick closely to the 2 weeks schedule and change it up yourself! So this is how they look like! So far, not a SINGLE person pointed out or noticed that I was wearing my clear aligners. They are THAT unnoticeable and I can't rave enough. Just take a look at the photos below, can you tell that I was actually wearing them? The aesthetics benefits are pretty apparent huh? Hahaha. 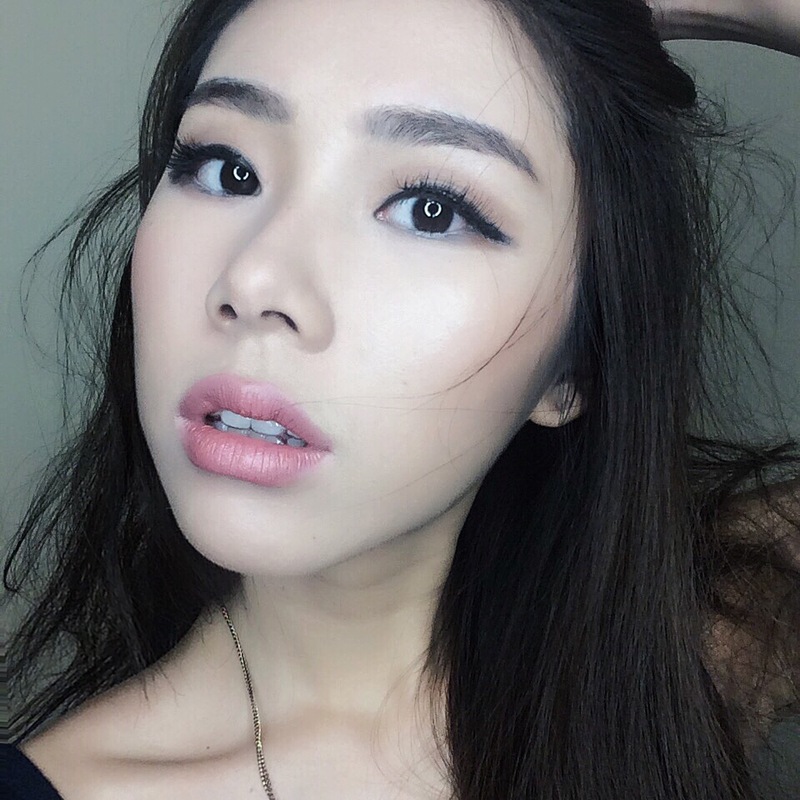 I love how I can look pretty while on the treatment, and look even prettier after! Check out the VLOG I did below to see me trying out the aligners and wearing it for the first day. For more information on MBrace, click here.